As a highly acclaimed organization of the industry, we at Aspirinox Alloys Inc are producing and supplying a wide range of Stainless Steel 304 Bars, Rods & Wires that are accessible in varied specifications as per the client’s requirement. 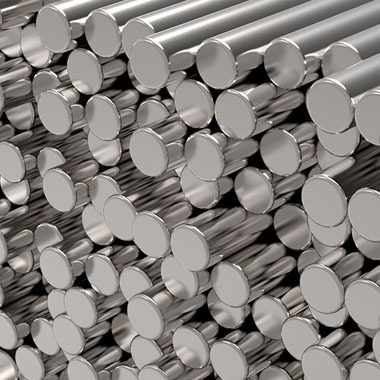 The offered Stainless Steel 304 Round Bars at Aspirinox Alloys is austenitic steel featuring non-magnetic properties in the annealed form that offers excellent corrosion resistance to both atmospheric and chemical exposures, in the company of an elevated resistance to oxidation. Furthermore, our SS 304 Round Bars contains a higher chromium and lower carbon content and extensively used in the Dairy Equipment, Dying Industry, Food Processing, Hardware, Architectural Equipment, Chemical, Petrochemical and Transport Industry etc. We also offer these Stainless Steel 304 Bar products in customized form with respect to its sizes and shapes such as Stainless Steel 304 Round Bar including SS 304 Rectangular Bar, SS 304 Square Bar and SS 304 Hollow Bar and many more. They commonly come in a Single Random, Double Random and Cut Length in India and across worldwide. Call us now to request a free quote! Specifications for 304 Stainless Steel Bars, Rods & Wires. If any specification is not mentioned here, please use the contact button for quick quote. Request the latest 304 Stainless Steel Bars, Rods & Wires List. Please click on the request a quote button or click here to request the updated price list and ready stock information along with your requirement. Aspirinox Alloys INC maintains a stock of all standard items and can export them at best price for 304 Stainless Steel Bars, Rods & Wires.